St. Vincent de Paul Catholic Church traces its roots back to January 23, 1961, when Vincent S. Water, then Bishop of Raleigh, purchased eight acres of land on Old Reid Road. He planned to establish a parish and parochial school on these acres. A gymnasium went up first, to be used as a temporary chapel until the church and/or school could be built. Little did the church leaders suspect that the gymnasium would become the church itself for almost forty years. On October 29, 1961, Bishop Waters dedicated St. Vincent's Mission, a mission church of St. Ann Parish. In the early sixties, the population of Charlotte was growing rapidly, as was its Catholic community. 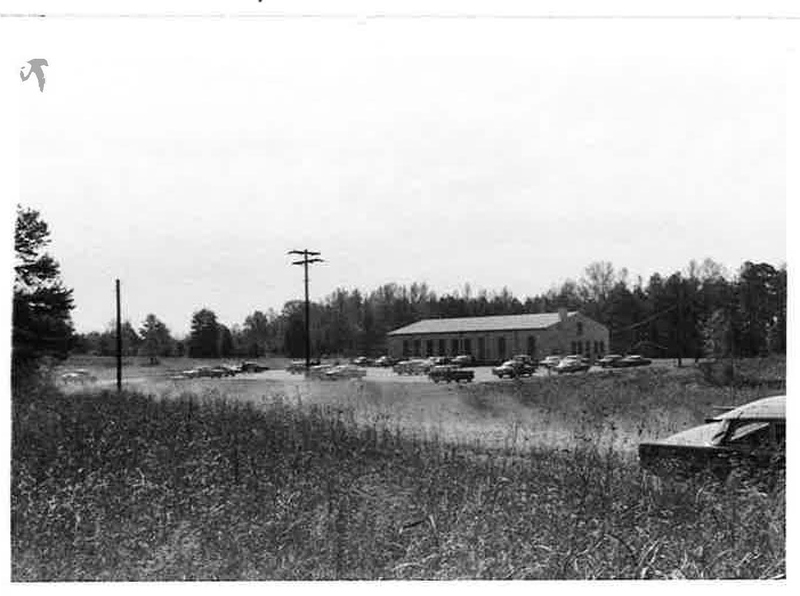 The Diocese of Raleigh bought an additional 230.7 acres of land in January 1963 to house a future high school. Adjoining the new mission, the land extended to what is now Colchester Place, several blocks from the church. On July 9, 1965, Bishop Waters proclaimed St. Vincent de Paul a parish in its own right. Fr. James Noonan became the first pastor. The parish purchased a home on the corner of Old Reid Road and Colchester Place to serve as a rectory and office. The following year, the parish family added a social hall to its existing facilities, with a cry room, a kitchen, and meeting space for the many church activities. The ladies of the parish formed the Women's Guild to help the church meet its needs. The remainder of the decade saw growth in many areas. In 1966, Fr. Noonan began a kindergarten in the parish social hall, and two years later the parishioners elected the first Parish Council. When Fr. Noonan left St. Vincent in July 1971 to begin a new assignment, Msgr. John Rouche was appointed pastor. He initiated a Saturday evening Mass and began sponsoring the Girl Scouts. About this time, the Diocese of Raleigh was divided into two parts. The western half of North Carolina became the Diocese of Charlotte, with Msgr. Michael J. Begley ordained as the first Bishop of Charlotte. Only a year and a half after coming to St. Vincent, Msgr. Rouche was reassigned and the parish welcomed Fr. Vincent Stokes as its third pastor. His years saw further changes. The acreage purchased earlier was sold off, as the Diocese decided the facilities planned for the land were no longer needed. The parish added a new wing to provide additional seating for Mass, as well as class and meeting rooms, a nursery, and a religious education office. Also during these years, the parish established the craft group, chartered a cub pack and Boy Scout troop, and began publishing a newsletter. When Fr. Stokes left, Fr. Joseph Waters became the fourth pastor. He had dreamed for a long time of establishing a group to help those in crisis situations, and during his tenure a group of men and women formed the St. Vincent de Paul Society to do just that. This ministry continues today for the same purpose. Also at this time, St. Vincent received equal representation in the reorganization of the St. Ann school board, reflecting the large number of children from the parish who attended the school. In the summer of 1977, the St. Vincent kindergarten closed its doors, as the opening of public kindergartens phased out the need for it. In August 1977, Msgr. William Wellein became St. Vincent's fifth pastor. He oversaw a number of physical improvements to the church property, such as the completion of the rectory office building and the repaving of the parking lot. Also during this time, St. Vincent Church began ecumenical participation with the other Park Sharon area churches in celebrating joint Thanksgiving and Lenten services, and the semi-annual Rosary Rally took root when the observance of International Rosary Day began in 1978. A number of ministries began during the tenure of the next pastor, Msgr. Felix Kelaher, who arrived in September 1984: Knights of Columbus Council 9560, the Visitation Ministry, St. Vincent de Paul Preschool, and the Adult Initiation Classes (RCIA). Under his direction, the parish organized a committee to plan a new church complex. When Msgr. 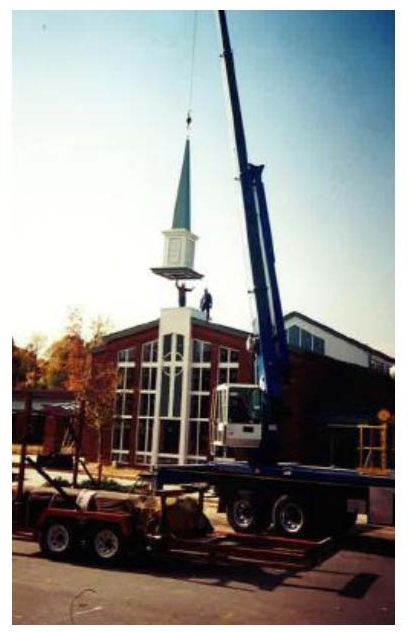 William Pharr took over as pastor in June 1991, he guided the parish through the important undertaking of renovating and adding to the existing buildings. The building committee developed and acted upon a three-phase plan: parking and landscaping, education and activity wings, and renovation of the existing church. 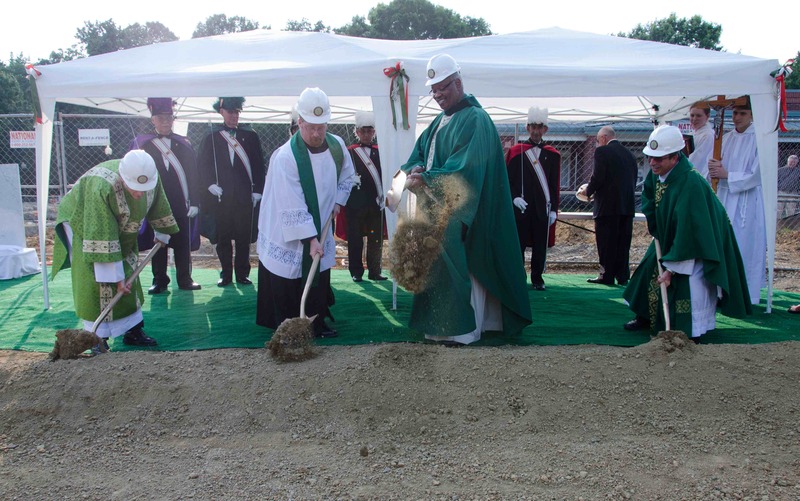 As work began on the church itself, parishioners moved into the newly built activity center for Masses. 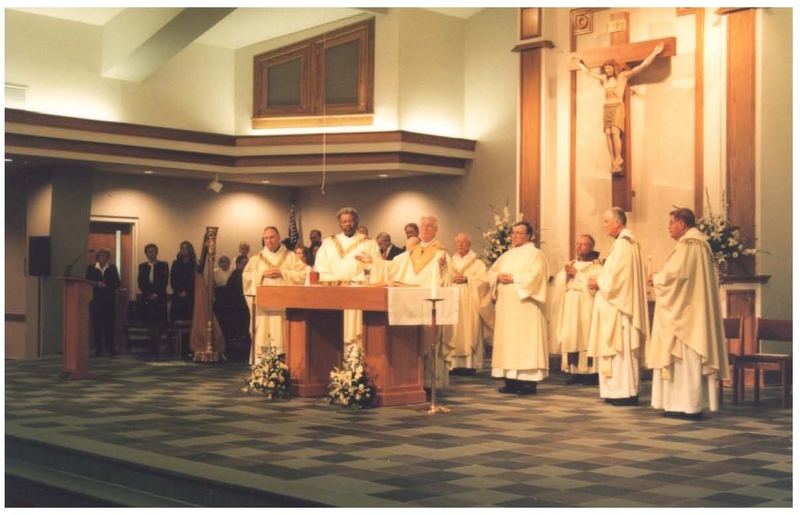 A year and a half later, on February 27, 1999, Bishop William Curlin celebrated a joyful Dedication Mass, attended by those currently and formerly a part of St. Vincent. Both the adult and youth choirs sang, and those in attendance admired the beauty of the new facility. Msgr. Pharr also introduced the youth-oriented Mass, the ACES group for senior citizens, and the parish picnic. When he retired in July 2001, the parish dedicated the activity center to him, renaming it in his honor. Father Mark Lamprich took over when Msgr. Pharr retired, and added property to the church holdings in the form of two houses. One serves as a rectory, and the other as a youth house. When the current pastor, Father Mark Lawlor, came to the parish, he added several adjoining homes. Father Lawlor encouraged the Hispanic population to worship at St. Vincent by introducing a weekly Spanish Mass and a Hispanic fellowship. Most recently, Father Lawlor has overseen the construction of the church's newest facilities, the new Ministry Center and Chapel (for more information see the Capital Campaign page). St. Vincent de Paul Catholic Church has come a long way from the mission church gymnasium. Through the work of many hands and with God's blessing, it has grown into a thriving parish. It has been over 50 years since the founding of the original mission of St. Vincent de Paul here in Charlotte. In October 1961 Bishop Waters of the Diocese of Raleigh dedicated St. Vincent de Paul as a mission church of St. Ann’s parish. St. Vincent’s was formally established as a parish four years later. We have experienced continuous growth over our almost 53 year history and we are grateful that our parishioners always responded to support the expanding needs of our parish community. We are proud of our progress and, with strong faith in our future, we look ahead to the next step in our growth as a parish faith community. 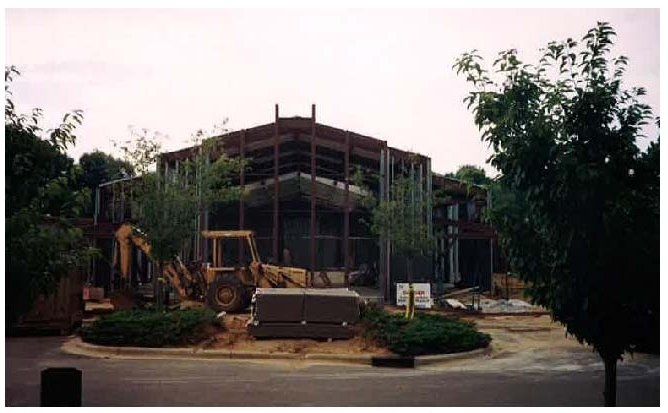 Our former parish office building was over 30 years old and had significant structural deficiencies and problems. We are excited the 2014 completion of our Ministry Center and Chapel on the site of the previous parish office building. By making the most efficient use of the limited space that we have on our church property, the Ministry Center addresses our immediate needs and positions us to handle our growing pastoral needs in the future. Our New Ministry Center Provides: A Chapel with the Blessed Sacrament for prayer and meditation. There are eight classrooms for Faith Formation, Adult and Youth groups, RCIA, ESL and other ministries meeting spaces and kitchen facility for Knights of Columbus, Women’s Guild, Youth Ministry, Boy Scouts, and many other parish groups and ministries, Choir room for music ministries Efficient meeting and working space for pastoral, administrative, and Faith Formation offices additional church parking.